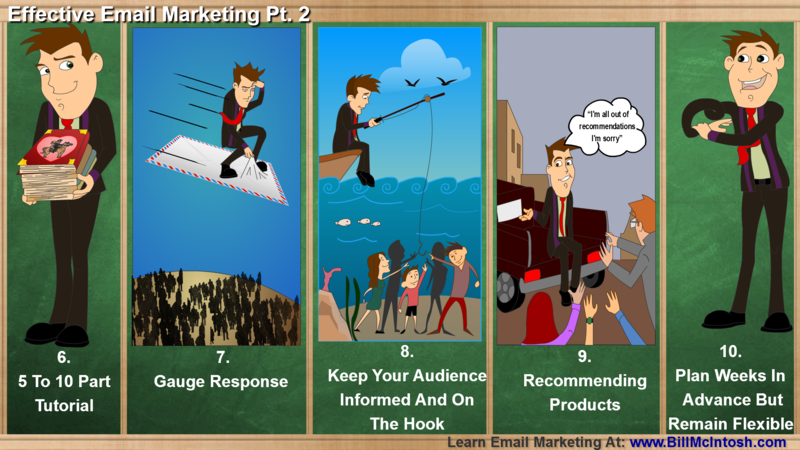 Nothing will position you as the authority figure in your field faster than email marketing. Marketers have long known this. This is why you always hear the term, “The money is in the list.” For there to be money in your list, you need an effective email marketing campaign with really effective autoresponders. The good news is that you don’t have to be an email marketing expert to craft autoresponders that always get the intended results. Keep reading for ten basics every email marketer should know if they hope to get through to their audience with well-planned and well-crafted email marketing messages. Your Irresistible Offer: If you hope to build a long and loyal subscriber list, you must have an irresistible offer. Many marketers choose to give away free e-reports that offer Top Tips And Expert Advice, all designed to help your prospects reach their goals. If your offer is enticing enough, you’ll have no problem building a list. Now, you need effective autoresponders to keep those subscribers subscribed. Thank Your Audience: The very first autoresponder you need to craft if your Thank You message. This is the message that automatically goes out whenever your subscribers opt-in. If you have a free offer, thank your subscribers for downloading the offer and tell them that you hope it will help them reach their goals. This is the entire point of your subscriber list: to help your subscribers reach their goals. If you can make them believe that you have the inside scoop and that you’re there for them every step of the way, you’ll have no problem keeping your subscriber list loyal. No Spam Or Abuse – Ever! : You may want to include this message in your Thank You autoresponder. Let your subscribers know that you will never trade or sell their contact information and, most of all, let them know that you will never spam them. This is incredibly important. Most people are very guarded with their contact information because they’re afraid of spam. Ease your subscribers’ fears and you’ll craft much more effective email marketing campaigns. Here’s Free Info And I Want Nothing In Return: The most effective autoresponders are those that help your subscribers reach their goals. These autoresponders offer tips and tricks, advice and updates and anything else your subscribers might like to know that will help them solve their problems. Don’t try to make money off of your list at first and make everything about them and you will have much more effective email marketing campaigns. Have A Personal Conversation: This is the key to the most effective autoresponders. Your email marketing subscribers should feel as though they are talking to a friend or mentor face-to-face. Don’t be afraid to use slang or buzz words that your subscribers might be familiar with if it will help you get through to them. The key is to be different than your competitors and, at the same time, to try and reach your audience on a personal and emotional level. 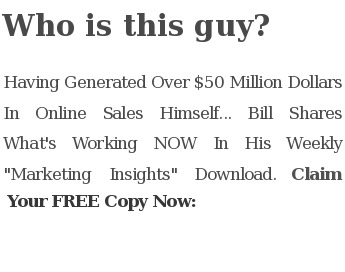 If you can do that, you will become an expert at effective autoresponder creation. 5 To 10 Part Tutorial: Nothing will help your audience succeed like a multi-part tutorial series. You can offer five or ten tips in five or ten well-crafted autoresponders and your audience will surely open every one. Again, don’t send money-making links right away. That can come later after your subscribers are hooked. Gauge Response: When your multi-part tutorial series is almost to a close, look at the email marketing platform’s analytics figures and try to gauge which emails were most effective. Which had the highest open rates? Which weren’t opened at all? Use that info to craft more effective autoresponders. This is how you get to know your audience. Keep Your Audience Informed And On The Hook: Your subscribers should feel as though you are their go-to person in your niche. Whenever news comes out, updates on new technology and processes or anything else your audience might be interested in, send out a new autoresponder. If your subscribers always get their news and information from you first before any other source, you’ll always have them right where you want them. That’s when you can start recommending products and services to really ramp up your income levels. Recommending Products And Services: Once you have positioned yourself as the authority, that’s when you can start recommending products and services to your subscribers. Again, help them reach their goals. When they hear it straight from you, that this product or service is the best around, they’ll be more likely to click on the link and buy than if some stranger tells them the same thing. It’s all about how you position yourself to your audience. If you know how to create effective autoresponders and you take the time to cultivate your list, you’ll soon see just how effective and lucrative email marketing can be. Plan Weeks In Advance, But Remain Flexible: You should always have at least five to ten autoresponders in the wings. This will keep your list on auto-pilot, so to speak. You should be prepared to plug-in the occasional effective autoresponder, however, in case any news items or updates come out that your subscribers might like to know about. Now that you know how to create an effective email marketing campaign with effective autoresponders, you only need to put that knowledge into action. As long as your offer is strong, your subscribers have a common problem to solve and they have plenty of money, you’ll do just fine as an email marketer. This entry was posted in Email Marketing & Autoresponders and tagged effective autoresponders, effective email marketing, effective email marketing campaign, email marketer, email marketing, email marketing expert, email marketing messages by Bill. Bookmark the permalink.